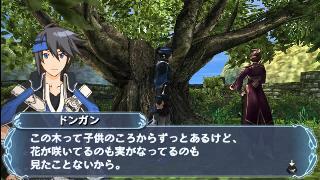 OverviewGenso Suikoden: Tsumugareshi Hyakunen no Toki is the newest game in the Genso Suikoden series. 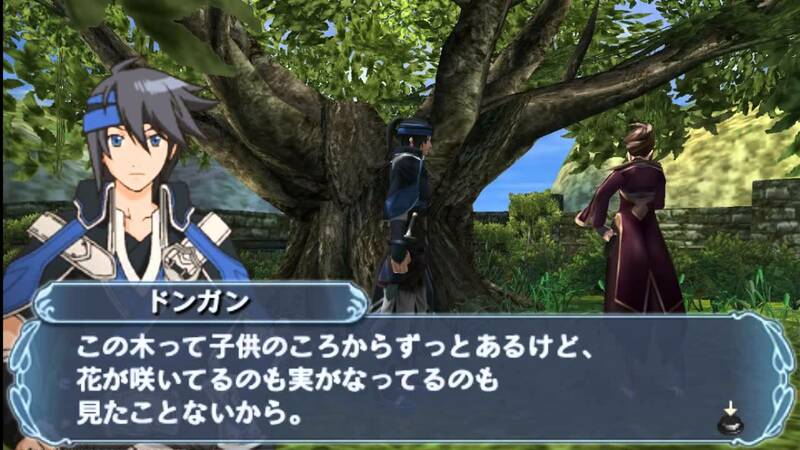 It is similar to Suikoden Tierkreis in that it appears not to take place in the the original series' timeline. Now you can add videos, screenshots, or other images (cover scans, disc scans, etc.) for Genso Suikoden - Tsumugareshi Hyakunen no Toki (Japan) to Emuparadise. Do it now! If you haven't noticed yet, we have a retro game of the day feature (top-right of the screen) wherein we feature a new retro title every single day! Now, you can vote for your favorite games and allow them to have their moment of glory. Click on the button below to nominate Genso Suikoden - Tsumugareshi Hyakunen no Toki (Japan) for Retro Game of the Day. .::::::::::::::::::::::::::::::::::::::::::::::::::::::::::::::::::::::::::. .::::::::::::::::::::::::::::::::::::::::::::::::::::::::::::::::::::::::::::. .::::::::::::::::::::::::::::::::::::::::::::::::::::::::::::::::::::::::::::. .::::::::::::::::::::::::::::::::::::::::::::::::::::::::::::::::::::::::::::. .::::::::::-.......................................................::::::::::. . :::::::::` ````` `:::::::::. .::::::::: `.-:::::::::-.` :::::::::. .::::::::: `-:::::::::::::---:-` :::::::::. .::::::::: `-::::::::::::-. `--` :::::::::. .::::::::: . ::::::::::::::` `::` :::::::::. .::::::::: `:::::::::::::::` -::` :::::::::. .::::::::: -:::::::::::::::-` `-:::- :::::::::. .::::::::: `::::::::::::::::::--.--::::::` :::::::::. .::::::::: `:::::::::::::::::::::::::::::` :::::::::. .::::::::: `::::::::::::::::::::::::::::- :::::::::. .::::::::: .:::::::::::::::::::::::::::. :::::::::. .::::::::: -:::::::::::::::::::::::::. :::::::::. .::::::::: .:::::::::::::::::::::::. :::::::::. .::::::::: `-::::::::::::::::::-. :::::::::. .::::::::: `::::::::::::::::-.` :::::::::. .::::::::: . ::::::::......`` :::::::::. .::::::::: -::::::::. :::::::::. .::::::::: `-:::::::-` :::::::::. .::::::::: `::::::::- :::::::::. .::::::::: .::::::::. :::::::::. .::::::::: -::::::::. :::::::::. .:::::::::`````````````````-::::::::.```` :::::::::. .:::::::::::::::::::::::::::::::::::::::::.` :::::::::. .:::::::::::::::::::::--::::::::::::::::::::-` :::::::::. .::::::::::::::::::::``-::::::::.:::::::::::::-. :::::::::. .:::::::::::::::::::- . ::::::::``::::::::::::::::.` :::::::::. .::::::::::::::::::::-..........:::::::::::::::::::-. :::::::::. .::::::::::::::::::::::::::::::::::::::::::::::::::::-.` `:::::::::. .:::::::::::::::::::::::::::::::::::::::::::::::::::::::-.........-::::::::::. .::::::::::::::::::::::::::::::::::::::::::::::::::::::::::::::::::::::::::::. .::::::::::::::::::::::::::::::::::::::::::::::::::::::::::::::::::::::::::::. .::::::::::::::::::::::::::::::::::::::::::::::::::::::::::::::::::::::::::::. . : __________.____ _____ _____.___. _____ _________.__ _____ ::::. .: \______ \ | / _ \\__ | | / _ \ / _____/|__| / _ \ :::. .:: | ___/ | / /_\ \/ | |/ /_\ \ \_____ \ | |/ /_\ \ ::. .:: | | | |___/ | \____ / | \/ \| / | \ :. .:: |____| |_______ \____|__ / ______\____|__ /_______ /|__\____|__ / :. .:: \/ \/\/ \/ \/ \/ ::. .::::::::::::::::::::..:::::::....::::::::::::::..::::::::..::::::::::::..:::. .::::::::::::::::::::::::::::::::::::::::::::::::::::::::::::::::::::::::::::. .::::::::::::::::::::::::::::::::::::::::::::::::::::::::::::::::::::::::::. .::::::::::::::::::::::::::::::::::::::::::::::::::::::::::::::::::::::::::::. . :: ::. .:: Genso Suikoden: Tsumugareshi Hyakunen no Toki (c) Konami ::. .:: ::. .::::::::::::::::::::::::::::::::::::::::::::::::::::::::::::::::::::::::::. .::::::::::::::::::::::::::::::::::::::::::::::::::::::::::::::::::::::::::::. . :: ::. .:: Region.........: Japan Languages.....: Japanese ::. .:: Platform.......: PSP Format........: .ISO ::. .:: Filename.......: pa-gsthnt. Size..........: 55 x 20 mb ::. .:: Disc Serial....: NPJH-50535 CRC32.........: D746B3AB ::. .:: ::. .::::::::::::::::::::::::::::::::::::::::::::::::::::::::::::::::::::::::::. .::::::::::::::::::::::::::::::::::::::::::::::::::::::::::::::::::::::::::::. . :: ::. .:: ::. .:: Genso Suikoden: Tsumugareshi Hyakunen no Toki is a ::. .:: Role-Playing game, developed and published by Konami, ::. .:: which was released in Japan in 2012. ::. .:: ::. .:: http://www.konami.jp/gs/game/genso/100-years/ ::. .:: ::. .:: ::. .::::::::::::::::::::::::::::::::::::::::::::::::::::::::::::::::::::::::::. .::::::::::::::::::::::::::::::::::::::::::::::::::::::::::::::::::::::::::::. . :: ::. .:: ::. .:: * List of Undumped Playstation Portable PSN Games * ::. .:: ::. .:: We are currently looking for suppliers of PSP PSN content. ::. .:: playasia@hush.ai ::. .:: ::. .:: ::. .:: EUR (Minis): ::. .:: ::. .:: - 5 In 1 Solitaire ::. .:: - Age of Hammer Wars ::. .:: - Epyx's Mission Impossible ::. .:: - Forest Puzzle ::. .:: - Future Fight ::. .:: - Hello Flowerz ::. .:: - HISTORY Egypt Engineering An Empire ::. .:: - Ikari Warriors ::. .:: - Mecho Wars ::. .:: - Mots Croises (French) ::. .:: - PAC-MAN Championship Edition (French) ::. .:: - PAC-MAN Championship Edition (Italian) ::. .:: - PAC-MAN Championship Edition (Spanish) ::. .:: - Pallurikio ::. .:: - Prehistoric Isle ::. .:: - Rasmus Klump and the Big Maze (Denmark) ::. .:: - Rasmus Klump in Pingonesien (Denmark) ::. .:: - Rasmus Klump is Saving the Chickens (Denmark) ::. .:: - T.N.K. III ::. .:: - Vanguard II ::. .:: - Zombie Tycoon (French) ::. .:: ::. .:: ::. .:: EUR (PSN Exclusives): ::. .:: ::. .:: - Alpha Mission II (NeoGeo) ::. .:: - Art of Fighting (NeoGeo) ::. .:: - Baseball Stars Professional (NeoGeo) ::. .:: - Bejeweled 2 ::. .:: - Castle Rustle ::. .:: - ClaDun x2 ::. .:: - Corpse Party ::. .:: - Crystal Mines ::. .:: - Fatal Fury (NeoGeo) ::. .:: - flOw ::. .:: - Go! Puzzle ::. .:: - Gravity Crash Portable ::. .:: - Groovin' Blocks ::. .:: - League Bowling (NeoGeo) ::. .:: - Legends of War: Patton's Campaign ::. .:: - Magician Lord (NeoGeo) ::. .:: - NeoGeo Heroes Ultimate Shooting ::. .:: - No Heroes Allowed! ::. .:: - Peggle ::. .:: - Samurai Shodown (NeoGeo) ::. .:: - Super Sidekicks (NeoGeo) ::. .:: - Syphon Filter: Combat Ops ::. .:: - The King of Fighters '94 (NeoGeo) ::. .:: - The Red Star ::. .:: - TNT Racers ::. .:: - Voodoo Dice ::. .:: - Zuma ::. .:: ::. .:: ::. .:: USA (Minis): ::. .:: ::. .:: - Bermuda Triangle ::. .:: - Gold Medalist ::. .:: - SHIFT extended ::. .:: - Stick Man Rescue ::. .:: ::. .:: ::. .:: JPN (PSN Exclusives): ::. .:: ::. .:: - Baseball Stars 2 (NeoGeo) ::. .:: - Boku wa Kimi Dake wo Mitsumeru ::. .:: - Bunny Dodge ::. .:: - Fading Shadows ::. .:: - Fushigi no Kuni no Bouken Sakaba Portable ::. .:: - Ginsei Tsumeshogi Portable ::. .:: - Maid Paradise Mezase! Maid Number One! ::. .:: - Metal Slug 2 (NeoGeo) ::. .:: - Misshitsu no Sacrifice Miki: High Tension Night ::. .:: - Shock Troopers (NeoGeo) ::. .:: - Tantei Opera Milky Holmes 1.5 Dai-2-Wa ::. .:: - Tantei Opera Milky Holmes 1.5 Dai-3-Wa ::. .:: - Tantei Opera Milky Holmes 1.5 Dai-4-Wa ::. .:: - Tantei Opera Milky Holmes 1.5 Dai-5-Wa ::. .:: - Taisen Obake Choice ::. .:: - Taisen Youkai Dauto ::. .:: - The King of Fighters '95 (NeoGeo) ::. .:: - The King of Fighters '96 (NeoGeo) ::. .:: - Urbanix ::. .:: - World Heroes (NeoGeo) ::. .:: - World Neverland: Qukria Kingdom Stories ::. .:: * undumped PCEngine titles: www.hudson.jp/pcea/jpn/title.html ::. .:: ::. .:: ::. .::::::::::::::::::::::::::::::::::::::::::::::::::::::::::::::::::::::::::. .::::::::::::::::::::::::::::::::::::::::::::::::::::::::::::::::::::::::::::. . :: ::. .:: ::. .:: - deest remedii locus, ubi, quae vitia fuerunt, mores fiunt - ::. .:: ::. .:: ::. .::::::::::::::::::::::::::::::::::::::::::::::::::::::::::::::::::::::::::. . ::::::::::::::::::::::::::::::::::::::::::::::::::::::::::::::::::::::::::.